Whether you live in a red state or a blue state, you can watch the 2013 presidential inauguration from a “White House” near you. Getting into the White House in Washington, D.C. will be impossible for most of us that day and standing on The National Mall outside the Capitol building on January 21, 2013, may be exciting but also very cold. Instead, consider watching from the warmth and comfort of a White House Inn near you. 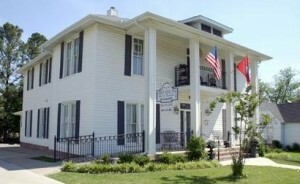 Celebrate this inauguration in the home state of the previous Democratic President with a stay at the White House Bed and Breakfast in Paragould, Arkansas near Jonesboro and 80 miles northwest of Memphis. You can show your political party pride by choosing the Blue Room. If you arrive by air, the innkeepers often provide pick-up service. They also offer onsite catering for special events. Consider for instance, a White House wedding. Pay homage to the first ladies at The Summer White House in Lenox, Massachusetts. 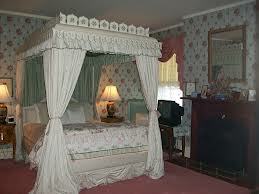 Each of the guest rooms is dedicated to the wife of a past president. Sit on the balcony of the Nancy Reagan Room with a presidential biography or pretend you are in Camelot in the large Jacqueline Kennedy Room with a private dressing room. Sip a glass of sherry or port wine upon arrival then stroll to the shops and restaurants in town. Enjoy a full breakfast in the dining room each morning then relax on the inn’s sunny, enclosed porch. Pass between the 14 massive columns of the impressive Portland’s White House Bed and Breakfast. You may not be the President but you’ll feel like someone special at this Oregon inn. Tickle the ivories on the grand piano in the parlor and enjoy French champagne and chocolates with a stay in a spa suite. Pretend you are in the Rose Garden by sleeping in the four-post king-size bed in the Rose Room.This gorgeous property also hosts elegant weddings, corporate retreats and holiday parties. 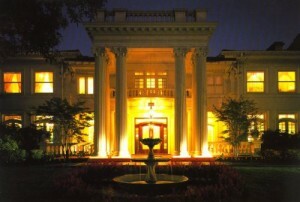 Honor the last Republican President by staying at the Texas White House in Fort Worth. The Mustang Suite is the epitome of luxury with a two-person whirlpool bath, in-room sauna, and balcony. Watch the swearing-in by the fireplace in your private living room in the Longhorn Suite. You might opt for the inn’s Texas Special to receive champagne with a tray of fruit, cheese, and chocolate-covered strawberries in your suite and breakfast served in bed. Continue your government-themed vacation with a visit to the Bureau of Engraving and Printing. Commemorate the historic occasion in the oldest settlement in Nevada. 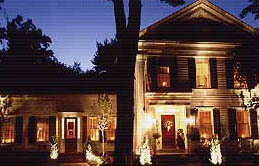 The White House Bed and Breakfast in Genoa is a turn-of-the-century home. Watch the inauguration on the large television in your guest room then relax with an in-house massage. 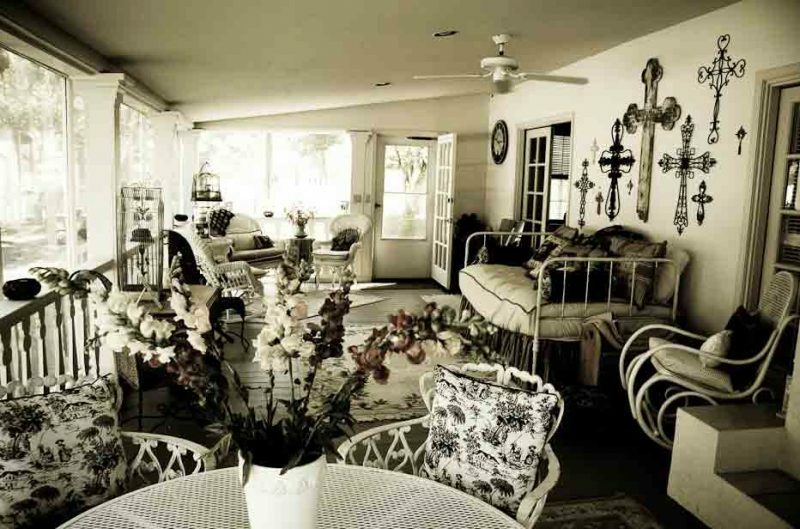 You’ll want to explore the antique shops in town or stroll to a scenic spot with a gourmet picnic basket in hand. In the evening, sit by the fireplace in the living room with a book or challenge other guests to a spirited board game. The White House Inn Bed and Breakfast in Cooperstown, New York may have been built by a reputed pirate, but you can still celebrate the new year’s inauguration. Kick off the morning with a gourmet breakfast of fruit, breads, and house specialties. Watch the Presidential Oath of Office by the warm fire in the sitting room or in the privacy of your guest room. 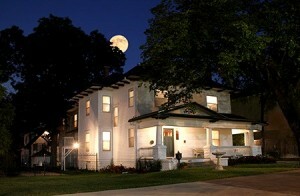 Walk to a multitude of interesting museums, shops, and restaurants from this inn.